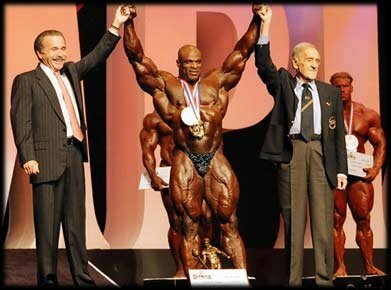 2004 Olympia Results And Pictures! There were some huge surprises this year in many of the contests. Find out who won and view the pics from the show and the expo! Ronnie Wins Again. Game Over For The Rest! View Photos From The Fitness Olympia. View Photos From The Ms. Olympia. A big "Congratulations" goes out to Darrem Charles! 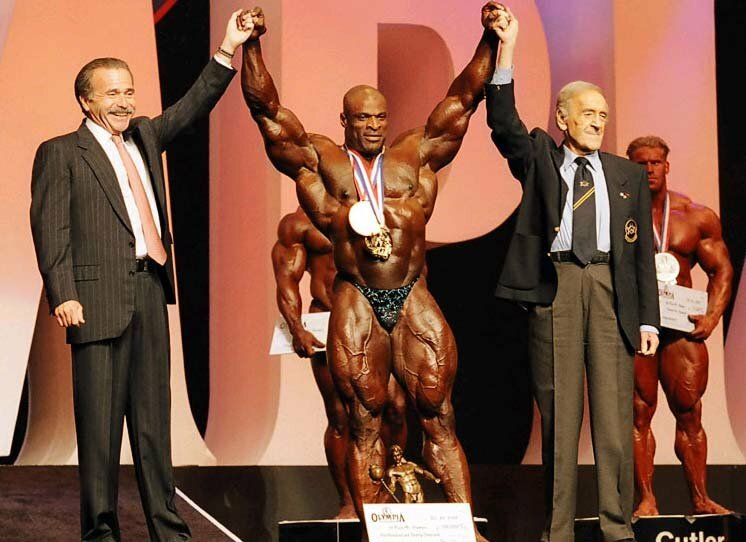 Darrem won the Best Presentation Award and $10,000.00 for his efforts at the Mr. Olympia last Saturday evening by way of Unanimous Voting from our sports leading men, who collectively been on the Mr. Olympia stage over 20 years! Dorian Yates, Milos Sarcev, Flex Wheeler and Kevin Levrone along with my vote and the majority of the fans, chose Darrem as the one athlete who stood out from the rest with his routine and effort! Awesome job Darrem in your 6th contest of the year of which, you won 2 and placed 2nd in 3 others. MD has awarded $10,000 to Markus Ruhl who our panel of judges agreed was the freakiest freak onstage at the Olympia! He is the inaugural winner of the MD Freakazoid Award! The MD Freakazoid Award judging panel included Flex Wheeler, Chad Nicholls, Hany Rambod, Charles Glass, Ron Harris, The Sandwich, Carlon Colker, Per Bernal, John Romano, and Steve Blechman.